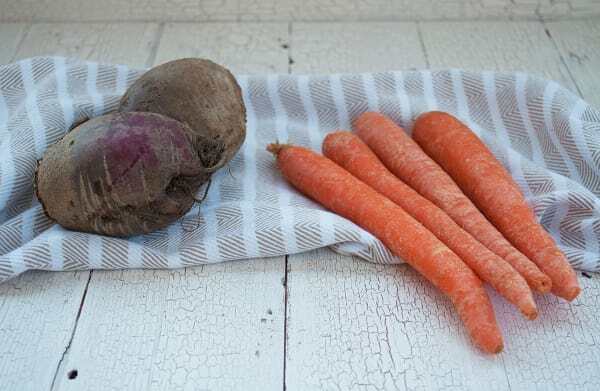 You will enjoy this 2 lb mixed bag of carrots and beets. Simply roast them, steam them or use them for juicing. Storage Tip: Remove tops before storing. Store in a perforated plastic bag in the crisper. Don’t store with apples as the ethylene gas emitted by them will make your carrots taste bitter. Preparation Tip: Many of the nutrients are in the peel so just scrub well under running water. Did you know... The older a carrot is the hairier it becomes. Health Information: Extremely high in beta carotene and a good source of fibre, magnesium, potassium, vitamins C and B6, thiamin and folate.